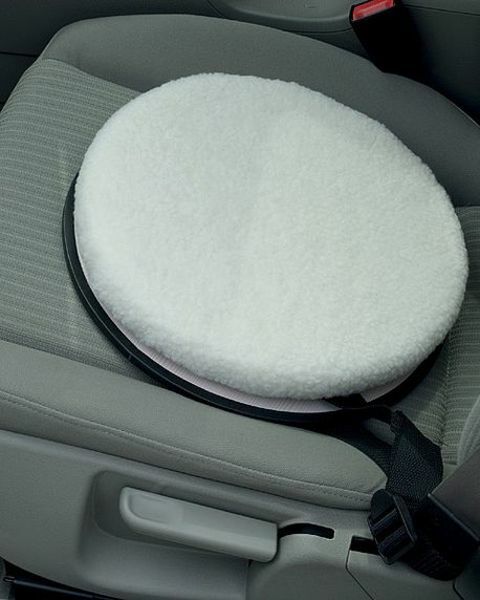 An upholstered fleecy soft foam seat, designed to enable easy access into and out of the car. 15" in diameter with a ball bearing turntable that turns through 360 degrees. Secures with a firm strap and will hold up to 17 stones in weight.